But you probably already knew that. I mean, it’s just a felt tip. A very good one mind, but I just wanted to clear that up before you read this whole post and get to the end wondering what the magic is about. 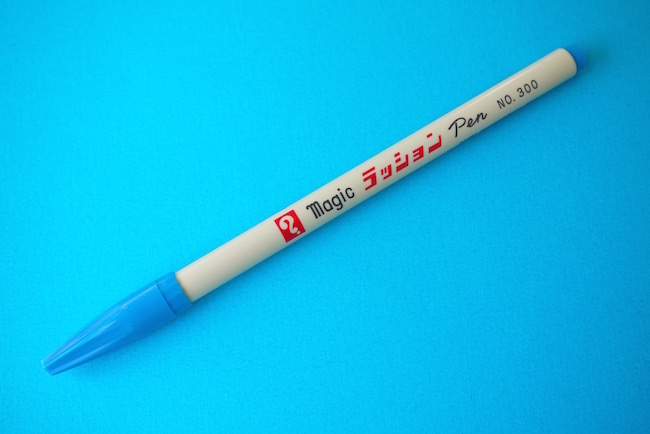 This pen is pretty similar to the Pentel Sign Pen, but is made by (also Japanese) Teranishi Chemical Industry Co. From what I’ve read this is a classic pen that all children in Japan use. 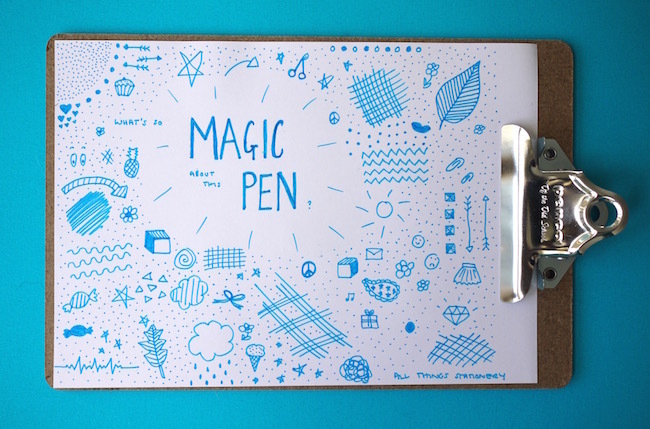 These pens were called “Magic” because when they were created, felt tips were a new technology (can I call that technology? I just did). This is what it looks like. I think it’s pretty cool. Simple design and intriguing symbols – does anyone know what it means? So that’s what I did! It’s got a really fine point for a felt tip, which I really enjoyed writing with. 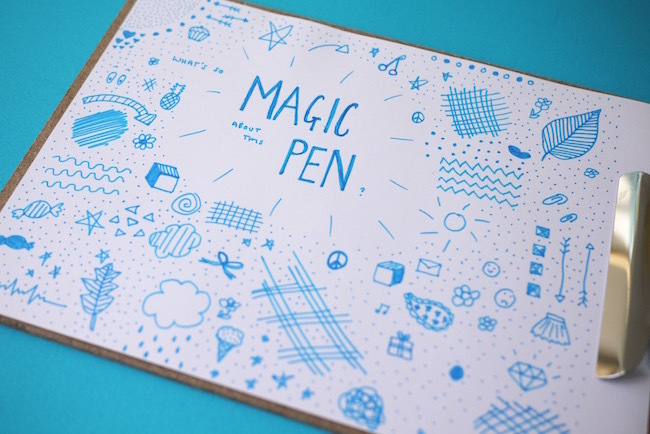 I think sometimes with felt tips, they can be a bit scratchy and you’re very aware of the pen moving across the page. That isn’t the case with this pen at all – in fact it glides very smoothly across the page, and there’s no sign of the ink running low. The ink is water soluble, and the pen lasts a long time apparently. It’s a fine enough nib for everyday writing, but also lends itself well to drawing. 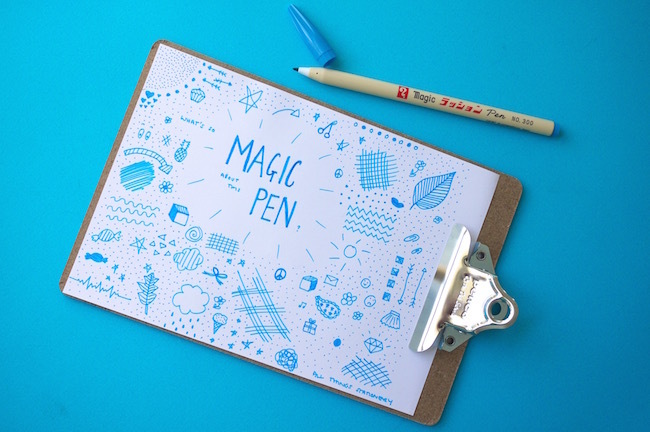 Ok, doodles in my case. So, magic? No, as I said. 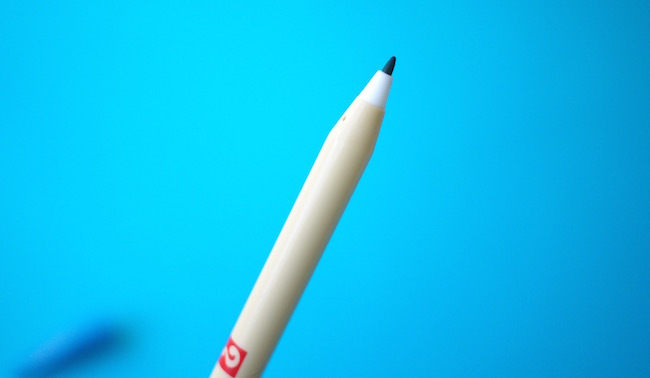 But a solid everyday pen, with a cool design? Absolutely. You can get them in the UK at Choosing Keeping, a 12 pack for £25 (multiple colours), or I bought a single one when I visited recent (which I wrote about here) for £2.50.